It's that time of year peeps! 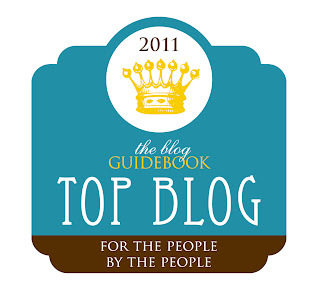 Do you know someone who's a great blogger that deserves to be nominated as Top Blog 2011? Then put your thinking caps on and make a list of your faves...we're opening Top Blog Nominations very soon - you will want to be ready! Top Blog 2011 is open to blogs with 500 or more official Followers this year (we love you all!) and the owner of nominated blogs must contact us after being nominated to stay in the running. Our contest will run from November 15th to December 15th. The winner will receive prizes from The Blog Guidebook and from sponsors of the contest (if you'd like to donate a prize please contact us and we'll put your name in bright lights), as well as receiving plenty of traffic from new readers. Stay tuned for more Top Blog 2011 info - COMING SOON!